Starting 2/10/19 we will no longer be open on Wednesdays. Holiday Gun & Archery Layaway! 90 Day Layaway with 25% down! Are you looking to get out of the elements for your shooting experience? Tired of the 100+ degree weather or the chill of winter creeping into your bones? Come to the Copper Star and shoot, sight in a new gun or practice your marksmanship in comfort! We offer a selection of range services. Additionally, we provide accessories for both archery and firearms enthusiasts. The ONLY 100 Yard Indoor Rifle Range in Arizona! Don’t have a gun or bow of your own? Don’t worry, we have a wide variety of firearms you can rent – some even fully automatic! Whether you’ve never shot before in your life, you’re an experienced shooter or hunter, or just want to have some fun…there’s a place for you at the Copper Star. 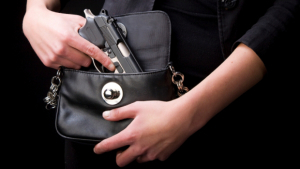 We’re offering the Arizona CCW Course on September 28th, October 10th, and October 26th. This class contains important and pertinent information if you have to use your firearm in self defense or in the defense of others. Sign up sheets for this course are in the foyer of the range. If you’d like to sign up but don’t have time to come down, call us at 928-567-5300. Class Materials YOU NEED TO BRING: A positive attitude, your handgun, and at least 100 rounds of ammunition.